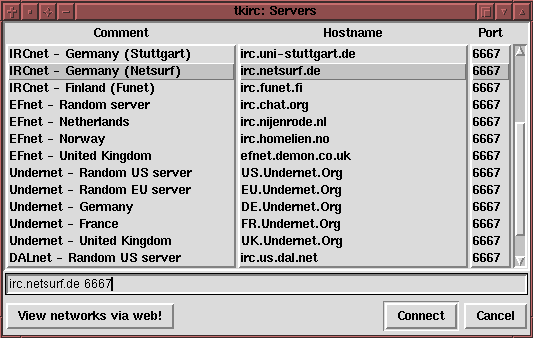 tkirc2 is a freely distributable graphical user interface for the Internet Relay Chat (short: IRC). 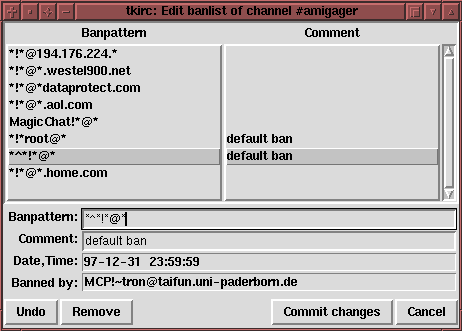 It uses the text-based client ircII as backend to the IRC and offers some nice extensions. Why tkirc2? 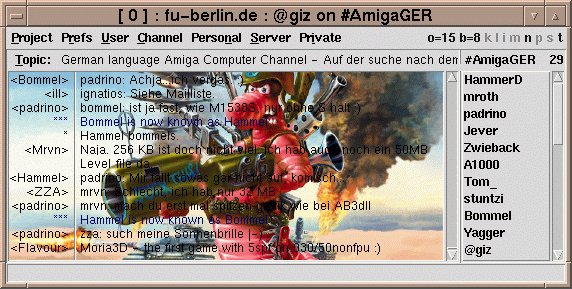 Since the last release of version 1 (tkirc 1.202, 10.03.1998) this program was nearly rewritten. Many new features were added and the new configfiles are not fully compatible to version 1. To avoid problems during the update from tkirc1 to tkirc2 different configuration directories (.tkirc/ and .tkirc2/) are used. So you´re able to use both versions at the same time. In May 1996 I bought a new computer and installed NetBSD (a UNIX-like operating system) on it. 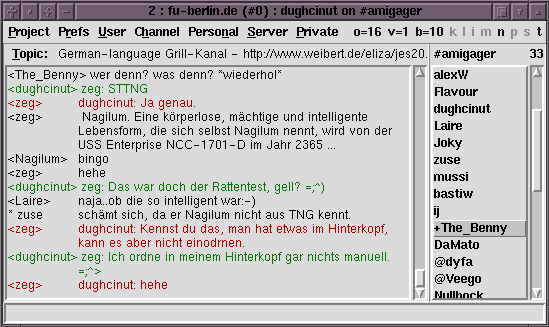 I used ircII (a full screen, termcap based interface to IRC) for a while and enjoyed its many features, but I missed a nice graphical user interface during my chat sessions. That was reason enough for me to realize one. I took Tcl/Tk and began. -- tkirc1 was the result! In July 1998 I passed my last exam (computer science) and tried to release a new version of tkirc before I left Oldenburg, but it sticked to that attempt. I moved to Dreieich and started a new job. Since then I found less and less time to work on tkirc2, but I have never given up. -- In August 2000 tkirc2 was released. and don't forget the many features of ircII! Click here to find some additional scripts for tkirc2! 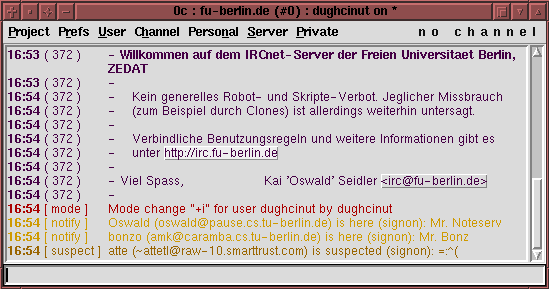 -- If you have written own scripts for this IRC-client and you want to place it here, please let me know! If you have comments, bug reports or nice feature requests, then feel free to send a mail to atte@netsplit.de!